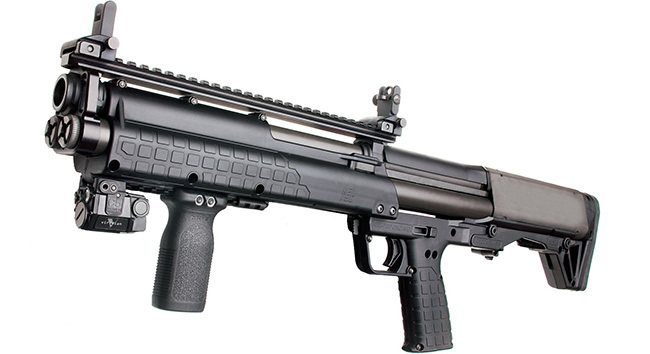 The Kel-Tec KSG shotgun is a revolutionary 12-gauge bullpup pump-action shotgun. In case you didn’t know, a bullpup shotgun is one where the action is situated behind the trigger group. The Kel-Tec KSG contains two magazine tubes that allow a person to manually switch between them in real-time. 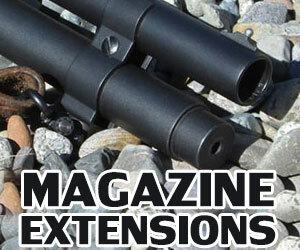 Each magazine tube can hold seven shotgun shells that are 12-gauge and 2.75 inches long. 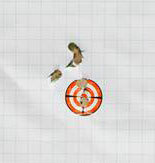 If you are using 3-inch shotgun shells, then each magazine tube can hold six of them. This can certainly hold a lot more ammunition than a classic shotgun which only has one magazine tube. 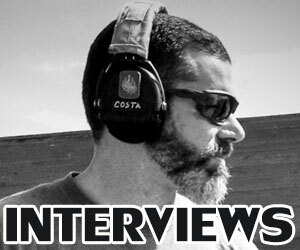 The people who use the Kel-Tec KSG are generally those who like to shoot a lot of ammunition and don’t like to waste too much time with reloading. Since the Kel-Tec KSG uses a pump action, it has to be operated manually. You can manually switch to the magazine that you want to use by utilizing the three-position lever that is positioned in back of the pistol grip. If you want to block both magazine tubes from the feed, then you would choose the middle position of the lever and just manually load a single round into the chamber. Then switching the lever to one side or the other will determine which magazine tube gets used. The magazines are loaded with rounds from a big ejection port that is positioned at the bottom of the shotgun’s stock. 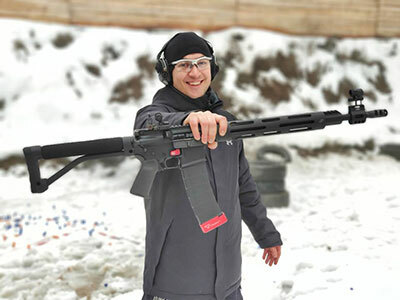 Other interesting specs about the weapon is that it weighs 6.9 pounds while unloaded, its total length is 26.1 inches, its barrel length is 18.5 inches and its trigger pull is 5 pounds. The two countries which use the Kel-Tec KSG the most in their law enforcement and military are South Korea and France. The reason other countries don’t use it is probably because of the mixed feedback it’s gotten from users who’ve tested the weapon. Some claim the shotgun works great while others say there’s sometimes double feeding and that the selector switch tends to break easily. Once Kel-Tec heard about these problems, they worked quickly to correct the problem and then released an updated version of the KSG shotgun. Now, the 2nd generation KSG shotgun contains a trigger reset, a fixed action release, and tiny peepholes in the shell tube. The retail price of the Kel-Tec KSG is about $990 and can be purchased directly through the Kel-Tec website at KelTecWeapons.com. If you own a Kel-Tec KSG pump action shotgun, then your upgrade options will be limited to only those which are made specifically for the KSG. The KSG Choke Tube Adapter is a perfect example of this because it is an adapter which enable you to use choke tubes with the KSG shotgun. As you likely know, the choke tube is responsible for adding constriction to the ammunition as it comes out of the barrel. You need an adapter so you can allow choke tubes to be compatible with it. 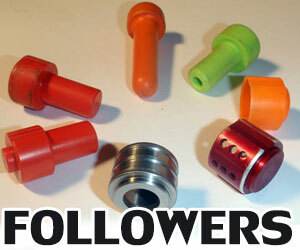 Th KSG choke tube adapter is a one of a kind upgrade for a variety of reasons. It is made out of 4140 Steel and is coated with black oxide, allowing you to use the chokes with the Kel-Tec KSG shotgun. 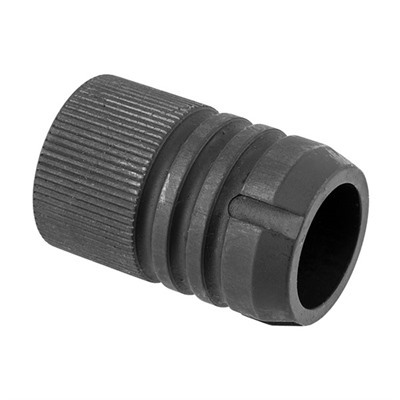 Knurled surface of the KSG Choke Adapter allows hand tightening to be easier. This is a good design improvement made by Kel-Tec and it will likely serve customers well. 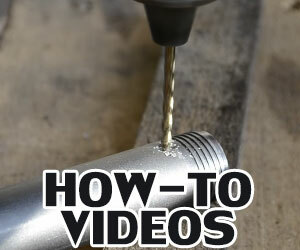 The installation of the choke tube adapter is pretty simple if you know how to replace the barrel ring (nut). The price of the Kel-Tec KSG Choke Tube Adapter is $55.99 and can be purchased on the Brownells website. Each purchase comes with a 100% lifetime satisfaction guarantee, so you can be sure that you’re getting a quality product. That is probably because the choke tube adapter was made in the United States by workers who take pride in building quality parts for firearms. The Kel-Tec KSG Single Point Sling Attachment is the perfect upgrade to make to your Kel-Tec KSG shotgun if you want to add a quality sling to it. 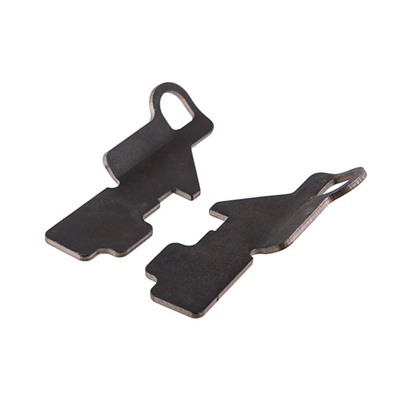 There are single point sling attachments for the left and right side of the KSG shotgun which are included with this product. The material of the attachment is nylon and the product itself is made specifically for tactical usage. That is why you’ll see a lot of law enforcement and military officers using this sling attachment more than anyone else. The best part is that it’s durable and it’s very easy to install. This is great for when you’re out in rough environmental conditions and want a sling attachment that is reliable and can be attached quickly. When you add the sling attachments to the left and right side of your shotgun, they will basically look like loops on each side. These loops are where you will attach your single point sling. There are a variety of single point slings that are compatible with this attachment, but the most recommended one is the Magpul MS3 which comes with Para Clips. You can pick that up at most sporting goods stores for around $27. If you have your own single point sling, then try that out and see if it’s adequate. If it is not, go with the Magpul MS3 because it will work best with it. The sling attachment will fit well and will do its job properly after it’s installed. It may feel a tad loose and will likely rattle a bit, but that’s okay. This does not affect its ability to help you stabilize and aim your weapon whatsoever. When you have to endure hard transitions and pulls, they will stay solid for you as well. The Kel-Tec KSG Single Point Sling Attachment is priced at $19.99. This is a very reasonable price for such an attachment. It is also made in the United States so you know you’re getting a quality product and not some knock off that was made overseas. The best part is that if you purchase the sling attachment through the Brownells.com website, it will come with a 100% lifetime satisfaction guarantee. That means if the sling attachment does not live up to the durability and reliability that it’s advertised as having, then you can return the product for a full refund or exchange. There aren’t too many companies like Brownells that will offer such a sweet deal to its customers. 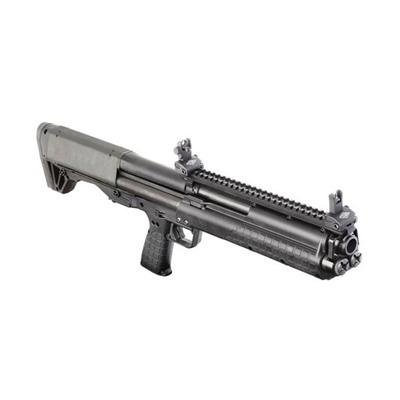 The Kel-Tec KSG Kydex Cheek Rest is an upgrade for the Kel-Tec KSG pump action shotgun that you’ll find convenient when it comes to aiming your weapon. It is lightweight so you won’t feel much of a difference while holding your weapon after you apply the cheek rest. However, the difference you will notice is how much better the stock will feel when it’s rested up against your cheek as you’re aiming the weapon. The material is soft and won’t make your cheek feel uncomfortable at all. At the same time, it is also very durable and will be able to sustain tough environmental conditions that it may be subjected to. So, for example, if it were to rain outside while you’re aiming the shotgun, you don’t have to worry about your cheek slipping off the cheek rest from all the moisture that’s in the air. When you go to upgrade your shotgun, you’ve probably had different experiences when it comes to the difficulty of applying certain upgrades. Fortunately, the KSG Kydex Cheek Rest is probably one of the easiest upgrades to make to your Kel-Tec KSG shotgun. There is no screwing or disassembly of any kind required here. All you have to do is snap the cheek rest over the metal housing of the shotgun and you’re good to go. And if you’re worried about it fitting your cheek, then don’t because the Kydex Cheek Rest is trimmed and textured in a way that makes it compatible with most people’s cheeks. As for the color, the only choice right now is a black colored Kydex Cheek Rest. This should make it blend perfectly with the Kel-Tec KSG shotgun because that is a black color as well. Besides, if you are using your shotgun and cheek rest for military or law enforcement purposes, it will help if your accessories are the same color as the shotgun itself. That way, the weapon will blend better in the shadows and it won’t be noticed so easily by the enemy. 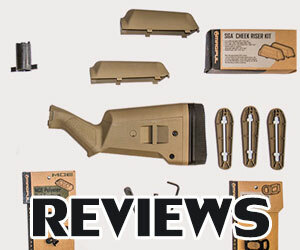 The price of the Kel-Tec KSG Kydex Cheek Rest is $35.99 and can be purchased online. The product was made in the United States so you can be sure it is the highest quality possible. 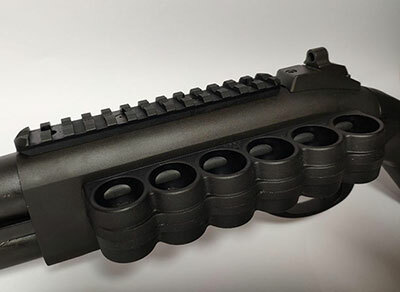 The KSG Sureshell Carrier and Rail by Mesa Tactical Products is the perfect accessory to upgrade your Kel-Tec KSG shotgun with. It contains an aluminum construction and has a matte black finish to it. This aluminum material allows the carrier to be both durable and lightweight at the same time. The carrier can be attached to both sides of the shotgun by using the main rail that comes with it. That’s right you can actually hold shotshells on both sides of your shotgun. Each side allows enough room for holding six shells, which means you can hold a total of twelve shells in the carrier. Just make sure you are using 12-gauge ammunition because that’s what it is compatible with. The best part is the carrier is small enough to where you can add extra Picatinny rails for attaching other accessories like laser sights and flashlights. 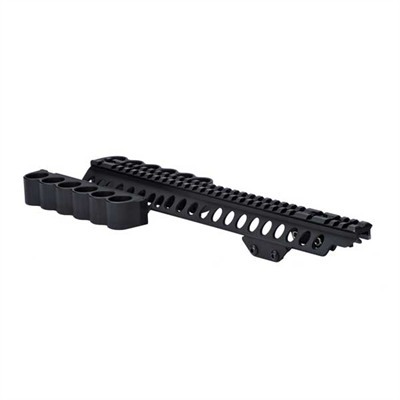 You won’t have to worry about the security of the rail assembly because the two steel recoil blocks ensure the carrier is mounted tightly onto the weapon. This is mostly thanks to the angled set screws that are built into the blocks. They will ensure the carrier and rail stay attached to the shotgun no matter what they’re being subjected to. That way, if you are facing rough environmental conditions or subject your weapon to accidental drops onto the ground, the carrier will not be damaged from the impact. Now getting back to the dual-sided feature of this carrier, you don’t have to store the same type of shells on both sides. The benefit to having carrying slots on each side of your weapon is so you can carry a variety of shells like birdshot, buckshot, and slugs. This will come in very handy if you are hunting different kinds of game in the forest and want to switch shells so that you can use the most suitable shell for whatever animal you’re currently shooting at. The retail price of the KSG Sureshell Carrier and Rail is $229.99. The product is made in the United States and can be purchased online. I just wanted to let you know that you misquoted the price for the mesa sure she’ll carrier for the kel tec KSG. It’s actually $229.99 not $29.99 as written, “The retail price of the KSG Sureshell Carrier and Rail is $29.99. The product is made in the United States and can be purchased online”. There’s a small picatinny rail upgrade right below the carrier upgrade for $29.99 that you might’ve confused it with. I was really excited about the price and my excitement quickly disapp as soon as I noticed how much it was in the check out. Unfortunately, I couldn’t afford the upgrade, but I thought I could at least let you know so other people don’t suffer a deflated sense of excitement as I did. Have a great week and thank you for your informative blog. God bless, Jon Orenga.